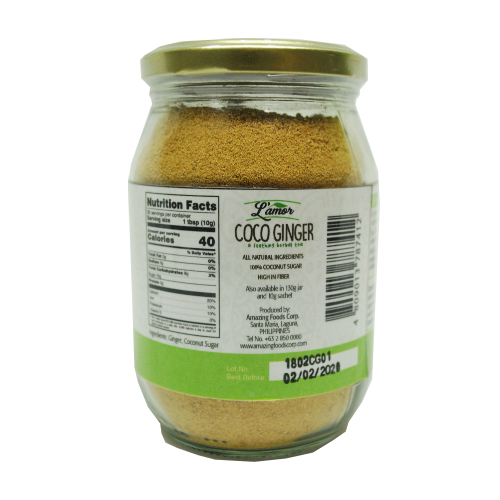 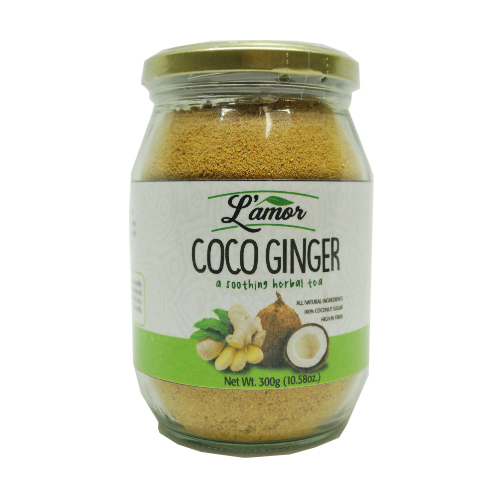 L'amor Coco Ginfer has low glucemic index of 35 qnd high in potassium, which gives a healthy options for diabetic and may help in treating high blood pressure. Ginger is a competent tool against ovarian and colon cancer, a good remedy for nauseas and anti-flammatory, and a relief for heartburn and migraine. 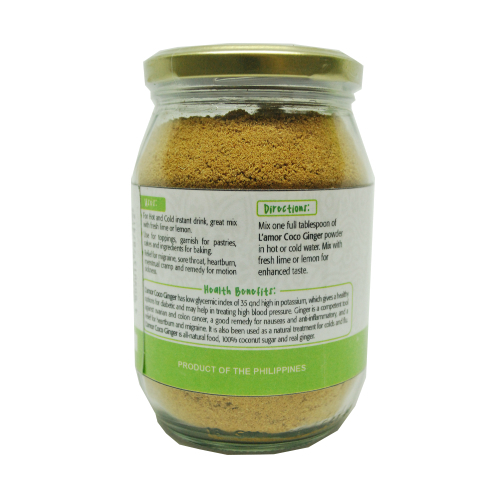 It is also been used as a natural treatment for cold and flu.